When New Alternatives began operation as the first mutual fund concentrating on what was generally called “alternative energy,” the sector was seen as a niche area. Socially responsible investing was still a relatively young concept. Investment professionals were still skeptical about the idea that principles, human values, the environment and other non-financial metrics factor in their business decisions. There were concerns about “energy security” growing out of the economic disruption caused by the OPEC oil boycott in 1973. In addition, there was a growing consensus that damage to the environment could have a negative effect on the general health of populations and economic growth. The publication of Rachel Carson’s Silent Spring in 1962, which raised awareness of the damage that widespread pesticide use was causing, created a wider concern about water and air pollution. This sensibility eventually led the U.S. Congress to pass the Clean Air Act in 1963 and the Clean Water Act in 1972, mandating controls on waste materials that were being generated by mining, manufacturing and power generation and dumped in waterways and in the air. These laws also put limits on the amount of dangerous emissions from cars and other transportation. The Environmental Protection Agency (EPA), created under President Nixon in 1970, oversaw the enforcement of most of these regulations. But the broader concept of an emerging challenge of “climate change” was not generally part of the public consciousness as yet. During this same period, however, the science and awareness of the larger issues involving carbon emissions and the long-term effects on the world environment were growing and would come to bear on how we viewed the total costs of energy. The United Nations Environment Programme (UNEP), starting in 1972, worked on providing support to countries around the world, with an emphasis on developing nations, to create energy plans based on systems that reduced the carbon emissions they produced. The UNEP would eventually create the Intergovernmental Panel on Climate Change (IPCC) in 1988, to provide scientific research on climate change causes and effects and promote wider introduction of clean energy production. Hydropower for electric generation was well developed and broadly used. But solar power, in the form of photovoltaic cells and direct solar heating technology, was still mostly the province of “off grid” simple living pioneers and a few developing nations that lacked wider power infrastructure. Wind turbines were still relatively small scale, generating, on average, several hundred watts (kw) of electricity. In response to the 1973 oil crisis and the increased cost of oil and gas, the U.S. government increased funding for renewable energy research and development. As a result, more efficient and powerful turbines were designed and the first wind farms were created in the U.S. and Europe. But as late as 1981, one year before New Alternatives Fund opened, there were still only two wind farms in the U.S., generating about 10 megawatts (mw) of electricity, enough to power just over 8,500 homes. In the early 1980s, as oil and gas prices came down, solar and wind power development declined because they were now economically noncompetitive. Governments around the world, primarily in Western Europe, Japan, South Korea, Canada and, to a lesser extent, the United States, began funding renewable energy development and enacting policies that supported the introduction of renewables into their power and transportation systems. New technologies, many with government support, improved the efficiency of wind and solar power systems, energy storage capacities and energy efficiency to the point where, today, most renewables can compete economically with fossil fuel energy generation. Considering the “externalities” of the existing power system and the growing concerns for the health and future of the world’s environment, renewable energy has emerged as the way forward. Or so it would seem if science and logic were universally applied. 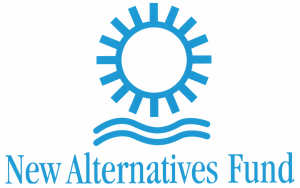 New Alternatives Fund’s approach has always been to consider the broad sector of energy and related environmental areas like clean water, clean air, and naturally grown and organic food. 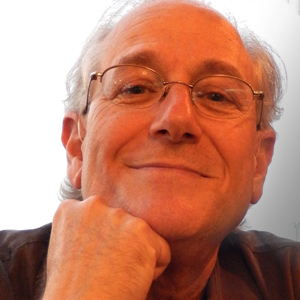 Energy is not just the production of electric power. Conservation and efficiency play major roles in the future of the world’s energy. Recently, the GreenMoney Journal was named to the 2018 List of the "Top 100 Corporate Social Responsibility (CSR) Influence Leaders" by Assent Compliance.